Originally called the Stanley Theater, the Colonial Revival style structure was designed by the Philadelphia architecture firm Hoffman-Henon and opened in 1928 with Ruth Tayler in “Gentlemen Prefer Blonds” on the screen. The Stanley was restored and renovated as the Benedum Center for the Performing Arts in the late-1980s by firm MacLachlan Cornelius & Filoni. Shortly after the PCT purchased the Stanley Theater in the early 1980s, the building received a complete, historic restoration. Visitors can enjoy the marble walls, aluminum-leaf gilding on plaster accents and fresco paintings throughout the lobbies; highlights include the "infinity" mirrors on the grand stairways and the large chandelier, containing 40,000 pieces of crystal, on the ceiling of the auditorium. The Benedum Center for the Performing Arts, a Pittsburgh Cultural Trust theater, is a focal point of Pittsburgh’s Cultural District. 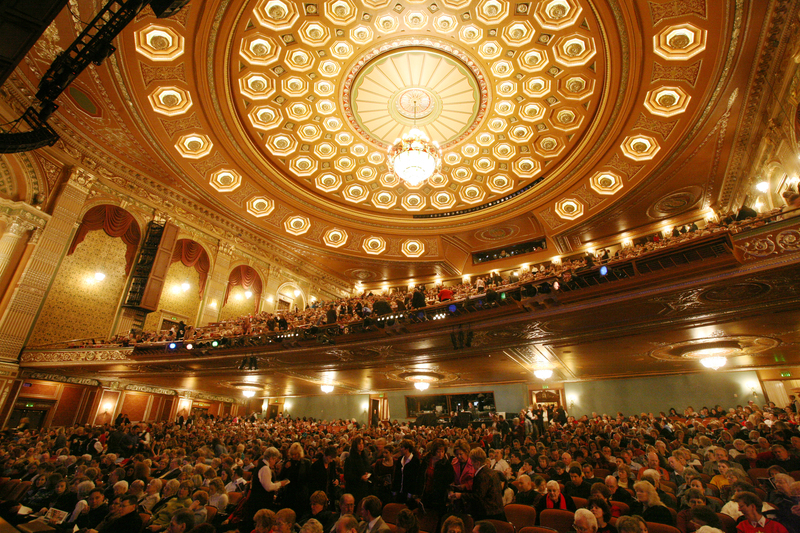 The 2,800-seat theater is home to Pittsburgh Cultural Trust presentations including PNC Broadway in Pittsburgh, Cohen & Grigsby Trust Presents, and Highmark First Night Pittsburgh. The Trust also provides priority programming dates on the Benedum stage to Cultural District resident companies including Pittsburgh CLO, Pittsburgh Ballet Theatre and the Pittsburgh Opera.